We first heard about battery life issues with the Apple iPhone 4S, and iOS5 upgraded iPhone 4's and 3GS's, from PhoneArena almost two weeks ago. Back than, I figured it was really just a result of iOS5 five being more Android like since it now sync's to the cloud, updates location data and has notifications. I figured people may also have just been using Siri too much. A week later Chris Breen of Macworld wrote about his efforts to diagnose the problem. But when we see things like The Inquirer writing that the Samsung Galaxy S II has longer batter life than the iPhone 4S, we really start to wonder. The Galaxy S II does after all have a much larger screen than the iPhone 4S and the biggest battery drain on an Android is the power consumed by the display. Today, TechRadar reported that Apple is contacting iPhone 4S users about battery drain issues. I guess, this confirms that there is a problem with iOS5 or the battery in the iPhone 4S, which is not caused by excessive Siri use. Having engineers look into it, rather than a quick public denial, only to back-track, later is a much better way for Apple to handle this kind of thing. So what while it does Appear that there is a problem with the iPhone 4S battery or an issue with iOS5 which affects a fair number of users, I don't think we should label this one battery-gate. The denial factor is missing. One area which may have caused confusion confusion was when Tim Cook announced during the iPhone 4S launch that the iPhone 4S had one hour more of 3G talk time without mentioning anything else on the battery life. 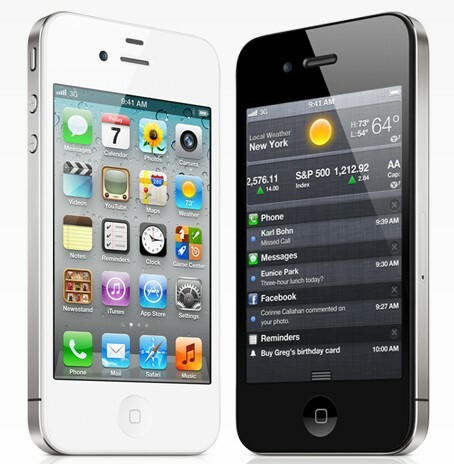 The new iPhone 4S, based on Apple's released specifications has 33% less standby time and one hour less web browsing time over WiFi.